PANAMA CITY, FL—A federal grand jury returned a 32-count indictment charging nine defendants, all residing in the United States illegally, in an interstate human trafficking case. The defendants were arrested yesterday in the Northern District of Florida and other locations. Their initial appearances in federal court took place yesterday and today. The indictment was announced by Christopher P. Canova, Acting United States Attorney for the Northern District of Florida. Emerson Corvera, 30, Montgomery, Alabama. The indictment alleges that, between July 2014 and August 2015, the defendants engaged in a conspiracy to transport, harbor, and market female aliens for prostitution in Florida, Alabama, Mississippi, and Louisiana, and thereafter, wired the prostitution proceeds outside the United States. 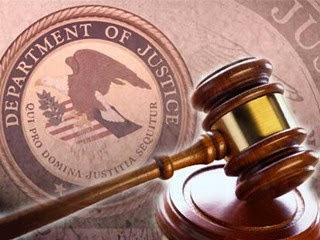 In addition to the conspiracy, the defendants are also charged with: 13 counts of enticing individuals to travel in interstate commerce to engage in prostitution; 4 counts of money laundering; 7 counts of transporting individuals in interstate commerce to engage in prostitution; 6 counts of harboring an alien for the purpose of prostitution; and illegal entry by a deported alien. The trial is scheduled for January 4, 2016, at 8:15 a.m.
As part of this investigation, federal agents executed six search warrants yesterday at the following locations: two in Pensacola, one in Santa Rosa Beach, one in Panama City Beach, one in Montgomery, Alabama, and one in Laurel, Mississippi. This case resulted from a 15 month investigation into human trafficking activities in the Northern District of Florida by the Federal Bureau of Investigation and the United States Immigration and Customs Enforcement (ICE) Homeland Security Investigations (HSI)-Panama City Resident Agent in Charge. It is a follow-up prosecution to a previous kidnapping case prosecuted in federal court in Panama City. The case is being prosecuted by Assistant United States Attorneys Stephen M. Kunz and Kathryn D. Risinger. An indictment is merely an allegation by a grand jury that a defendant has committed a violation of federal criminal law and is not evidence of guilt. All defendants are presumed innocent and entitled to a fair trial, during which it will be the government’s burden to prove guilt beyond a reasonable doubt at trial.